If you live in Utica, call your ward's councilor, those "at large", and the common council president. Together they'll decide if the hospital can be built downtown. Just one call, an email or both, can have a big impact. 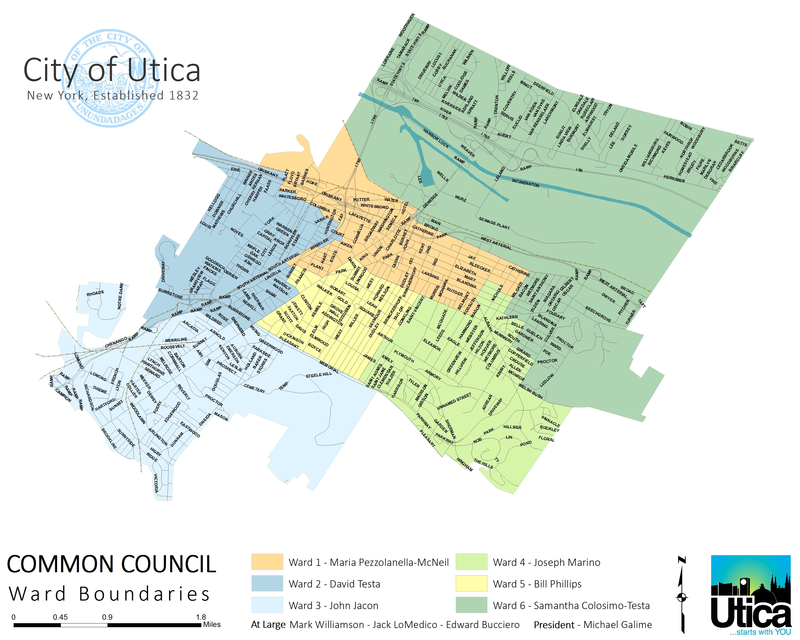 To see detailed maps of each ward as posted by the Oneida County Board of Elections, see Utica City Council Maps from results of redistricting, based on the 2000 U.S. Census and contested on November 4, 2003, which took effect on January 1, 2004.